So you’re thinking of a home renovation. Whether it’s a bathroom, kitchen, basement suite or a full home facelift, you need some serious organizational skills and industry know-how to get your reno from ideation to completion with maximum efficiency and minimum delays and unnecessary costs. You’ll need the help of subcontractors who specialize in specific trades like large equipment operation, concrete formulation, plumbing, carpentry and electric. They enter a project to do a particular task and leave when it is finished. General contractors, on the other hand, oversee and coordinate the entire scope of work from ideation to project completion. They work with you throughout the entire process, creating the schedule to make sure the project is completed on time and on budget and they hire the trades required to complete the job. It is an added benefit if the general contractor has a team of carpenters on site at all times. Often, homeowners pay the general contractor directly who then coordinate the purchase of materials and hiring out subcontractors. You’d save the money you’d have spent on a general contractor, as general contractors have a charge for the services they do and oversee. 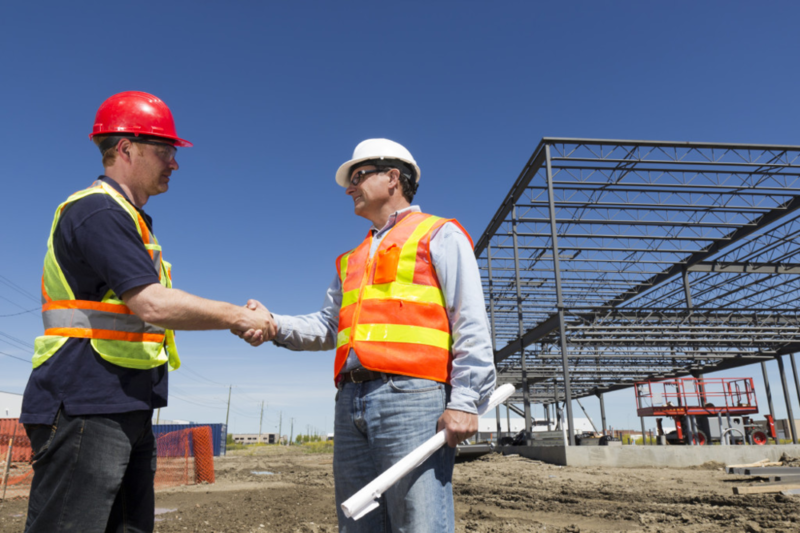 You’d learn the business of construction and learn how a general contractor operates. You’ll likely get hands-on experience with many of the components of the renovation, picking up some knowledge about different trades like HVAC, carpentry, electric and plumbing. Lastly, you’d have a closer eye on everything that happens on site every day. 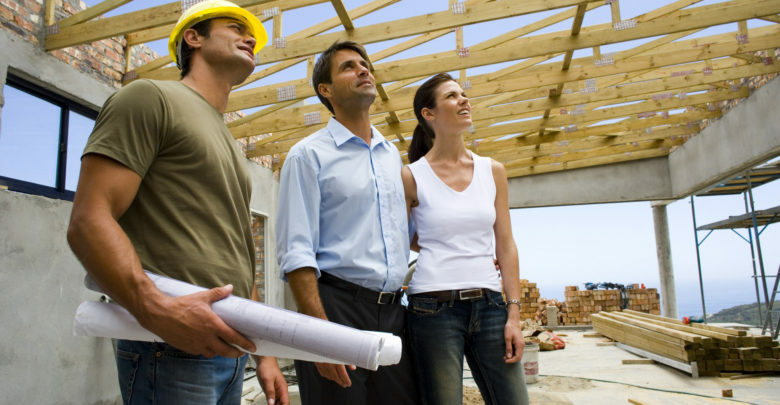 Now let’s explore the reasons why you should hire a general contractor. Often times general contracting companies have a permanent team who will be there at all stages of your renovation. For Tandem this means we have project managers and a talented team of Red Seal carpenters and apprentices who always have a presence at your project. Plus, we have accumulated a trusted roster of highly skilled sub trades to complete the job. Having a team of project managers and carpenters who are there from start to finish mean they are caught up with everything that is going on, helping everything run as efficiently and as timely as possible. They know the quality of work that’s expected and it’s easier to be consistent with how the company runs. Hiring a general contractor with a team of carpenters results in a more streamlined workflow. The General Contractor creates a project schedule, procures the materials necessary and notifies the trades and suppliers. When changes inevitably occur, good general contractors will document everything and re-plan accordingly. 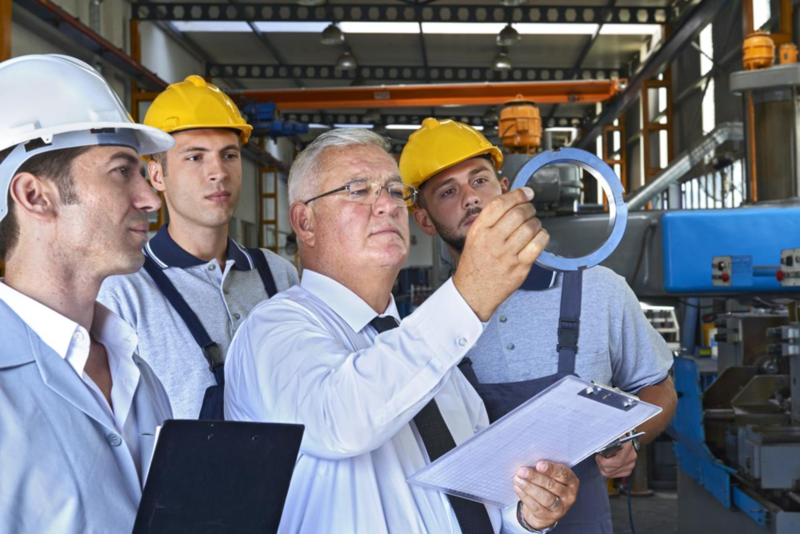 The General Contractor is also aware of all building inspections required and acquire the necessary building permits for the job and will be on-site to meet the building inspector. 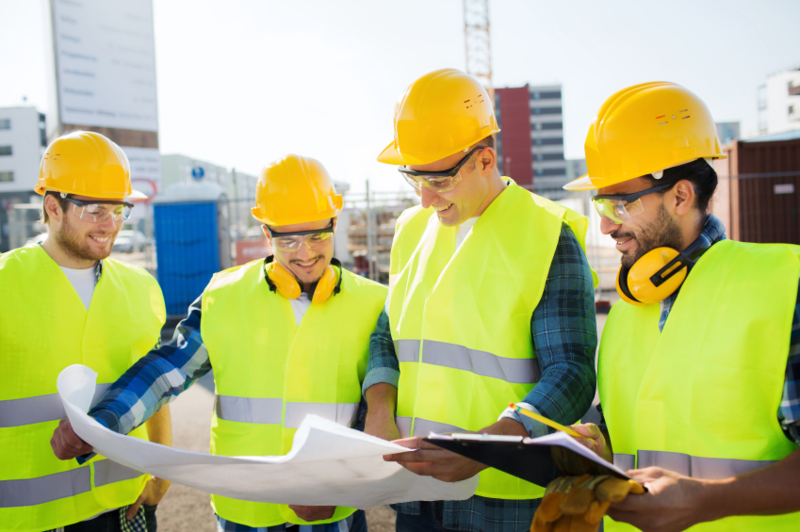 A legitimate General Contractor will have all appropriate liability insurance and workers compensation insurance to reduce exposure to risk should something unfortunate happen. Homeowners’ insurance may not offer sufficient protection during a construction project. Will you be able to look at a subcontractors work and know if it will pass inspection? A good general contractor knows the codes and will catch subpar work. That will save you from paying a re-inspection fee and the time cost from resulting delays. General Contractors know the specific ins and outs of local variations in codes and construction requirements. So although you’re spending more to hire a general contractor, in the long run doing so may save you many headaches and many thousands of dollars fixing mistakes or dealing with lost time and unnecessary delays. One of the reasons costs can spiral out of control for those who choose not to hire a general contractor is simply not knowing what needs to be done and when. Certain jobs require other jobs to be completed earlier. This knowledge simply comes from having professional industry experience. Plus, a good general contractor supervises all the trades and are always ensuring the quality of work. Having a general contractor makes the homeowner’s life so much easier, as they act as a single point for accountability. They are your contact person who will take your concerns and act on them accordingly, sorting it out with the parties involved. That means if something goes wrong, they are responsible for dealing with the issues. The larger the project, the greater the possibility that things will go wrong and a good general contractor will know how to deal with the issues that arise. The general contractor provides additional value through their knowledge and industry expertise that will take your more complex renovations from ideation to completion with the minimum delays and added costs. So it’s a good idea to weigh up the size of the job you are undertaking in your decision to hire a general contractor. If all you’re doing is changing the carpet in your home, you might not need a general contractor. However, if you’re taking down walls, opening up your kitchen and undertaking a large renovation, a general contractor will save you time and money lost in unnecessary delays and mistakes. Also read our blog post: How to Choose the Best General Contractor for your Renovation. So you’re thinking about a kitchen renovation. Among the many decisions you’ll make is what type of countertop material you’d like for your new kitchen! One thing is for sure - the countertop material you choose must be both functional as well as beautiful. It can be a little overwhelming looking at all your different options - from natural stone and acrylic sheets to quartz composites and concrete - so we hope you find our guide on the different materials informative. Wooden surfaces lend a room an invitingly warm look. There are plenty of colours and finishes to choose from, but hardwoods like maple and oak are the most often used species of wood for countertops. To maintain wood, homeowners can choose a polyurethane seal that offers protection for many years or a mineral oil finish that draws out the natural beauty and warmth of the wood but does not protect for as long. If you’re after a more contemporary and industrial look for your kitchen, stainless steel is a good option. Stainless steel countertops are heat resistant and durable. Because they're constructed to your specifications, you can have a seamless countertop. Quartz is one of the most appealing man-made material and an alternative to natural stone. It is engineered by pulverizing waste rock and adding resins for hardness and binding. Quartz countertops are not solid slabs of quartz stone but instead is an engineered stone product. You can also benefit from the antibacterial agents often added to many quartz countertops. Quartz crystals and other natural minerals are included in the stone, creating a beautiful look. Quartz countertops are highly sought after thus adding resale value in a home. Many different colours and styles are available. 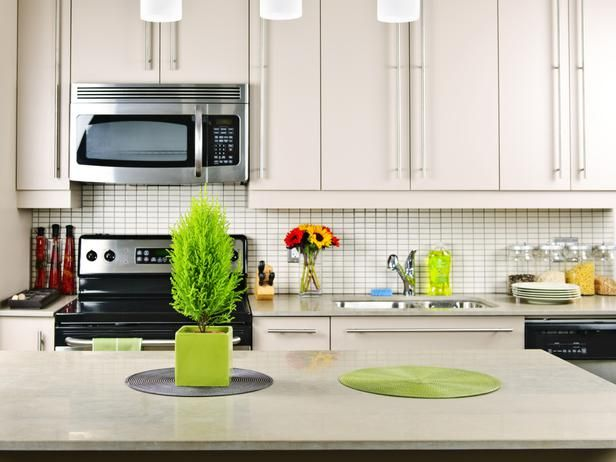 These countertops are more durable and less susceptible to scratching than solid surface. Granite was king for some time, defining elegance in a kitchen. Even the most modest kitchens can feel much more elevated when they are equipped with granite countertops. Historically, granite was an expensive material, but its cost has come down somewhat as supplies have increased and engineered stone has become more common. Marble is another natural stone option that is in high demand for kitchen countertops. Marble's unique appearance and veined patterns make it one of the most attractive of all natural stones. However, you should know that marble is a relatively soft and porous stone that MUST be carefully and repeatedly sealed if used for kitchen countertops. Like granite, marble is available in three forms—solid slabs, modular marble, and marble tiles. As with granite, solid slabs are the best choice for countertops. Marble is characterized by a natural veining that sets it apart from other stones. It is very beautiful. Each slab has slightly different veining, meaning each marble countertop will be unique. Like most natural stone, marble is a rather expensive material for large spaces. New, stronger glass can also be formed into slabs for countertops. The result is a truly unique countertop with a number of positive attributes. Glass is one of the very best materials for resisting bacteria and ease of cleaning and upkeep. High-tensile glass is heat-, scratch-, mold-, and stain-resistant. Soapstone is another natural stone, usually dark gray in color with a smooth, silky feel. Many choose soapstone as an alternative to granite. Soapstone is often seen in historic homes but is also used in modern homes as both a countertop and sink material. Over time, soapstone ages to look like an antique and is beautiful if that is the look you are going for. Limestone is a natural stone made up of exoskeletons of coral, shells, algae and calcium carbonate. It is a more affordable option as compared to its natural stone competitors, marble and travertine. Even since ancient times, limestone has been the first choice of builders as it is easy to cut and work with. Limestone is quite tough but it is porous so it does require care. You need to get your limestone sealed by a stone professional before or after installation so that nothing seeps into its structure. Limestone should never be bleached or cleaned with acidic cleaners. Use neutral stone cleaning products to avoid staining and etching of your limestone products. Limestone is one of the most aesthetically pleasing natural stones in the world that not only looks elegant with its neutral tones and light hues but also adds an earthy vibe to your house’s indoor space. Limestone countertops ability to fit in any type of design whether traditional or contemporary makes it the best candidate for renovation projects. This stone is quite durable and its resilience against the test of time can be seen from iconic buildings such as the Great Pyramid of Giza, the Lincoln Memorial and the Parthenon. These countertops are not manufactured with chemicals which makes them perfect for those looking for environment-friendly products. If you are a person who does not have the time to take special care of their bathroom or kitchen countertop then getting a limestone one should definitely not be on your list. Limestone is made of calcium carbonate which reacts violently with anything that has acidic nature which includes everyday edible items like citrus fruits, coffee, wine, and ketchup, etc. You also need to be careful regarding hot pans and abrasive materials as they can cause scratches on the limestone countertop’s surface. Many kitchens use more than one countertop material—so if it suits your design scheme, don’t be afraid to mix and match. Choosing the right material for your kitchen countertop is a very important decision. After all, you will be using the countertop every day, and it can have an impact on your home’s value. We hope you found our guide on the different countertop materials available for your kitchen renovation informative!